Memorial Day Observances will be held at MDVA locations around the state. Please see list below for more information on scheduled events at MDVA locations, including date and time. Please use this link to the MDVA website for the latest updates on MDVA and Community sponsored Memorial Day events. Please Note: No Memorial Day observance will be held at Rocky Gap Veterans Cemetery in Allegany County due to construction. 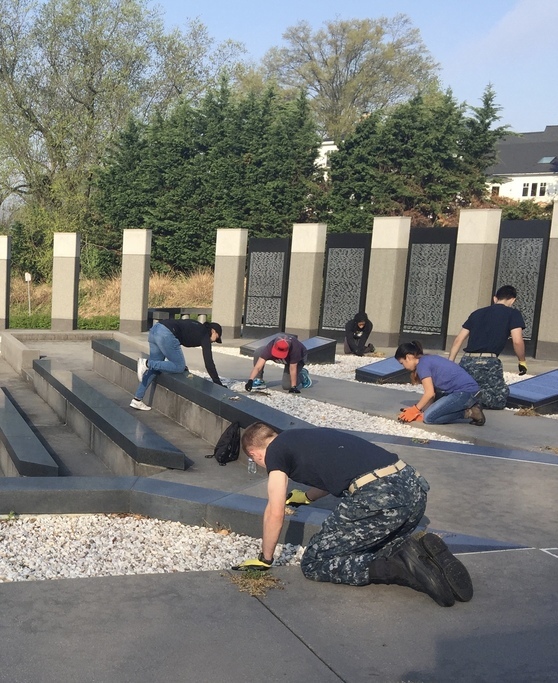 The construction will be completed and a Veteran's Day Ceremony will be held in November 2018. 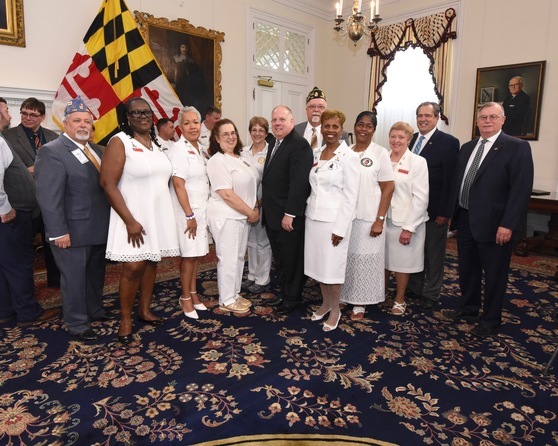 American Legion Post 274 located in Lusby presents a "large" check to provide for comfort items for the residents at Charlotte Hall Veterans Home. 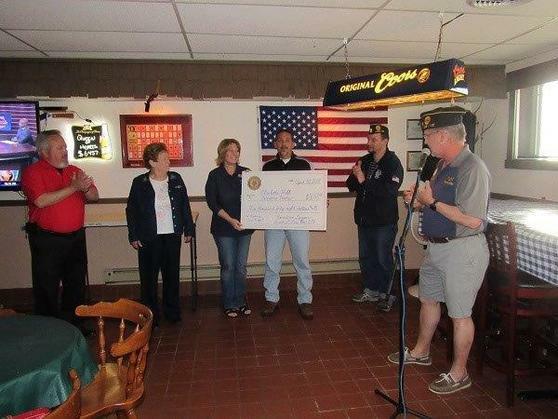 Thank you to everyone associated with American Legion Post 274 for your generous donation! 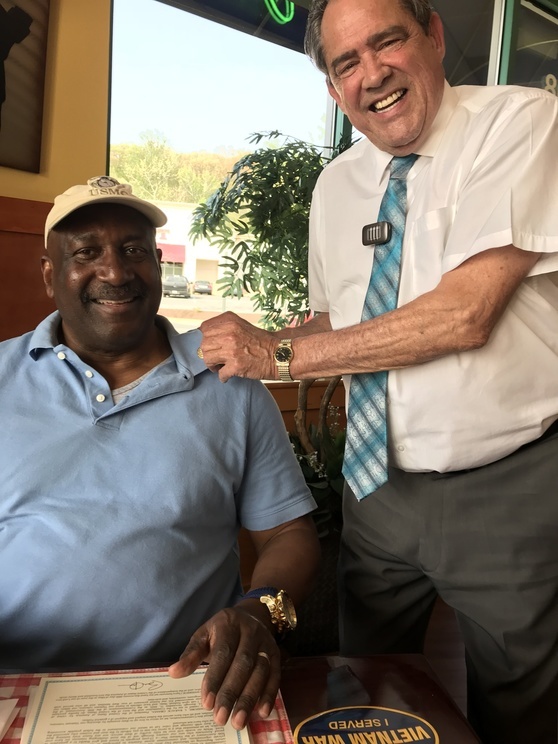 MDVA Secretary George Owings pins Mr. Leonard Brown with the Vietnam Veteran Lapel Pin. Mr Brown served in the Marine Corps from 1966 until 1972. 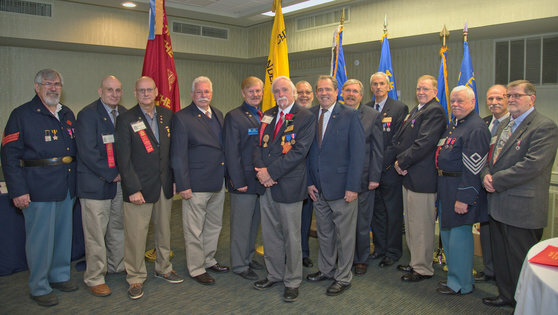 MDVA Secretary George Owings recently presented eligible members of the Sons of Union Veterans Garfield Camp No. 1 with the Vietnam Veteran Lapel Pin. Charlotte Hall Veterans Home was the setting for another Employee Appreciation Day event. 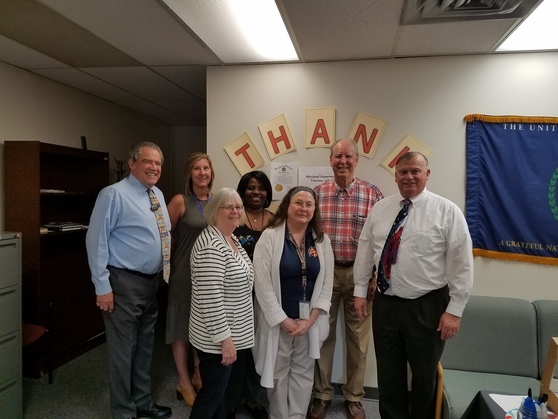 From left to right: Tom Johnson, Angela Quade, Sharon Murphy, Director of Charlotte Hall Veterans Home, Dinah Sigmon and Mike Farr, Deputy Director. Served Like a Girl provides a candid look at a shared sisterhood to help the rising number of homeless women veterans who served in Iraq and Afghanistan, and suffer from PTSD, sexual abuse, and other traumas. By entering into the “Ms. Veteran America” competition, these amazing ladies unexpectedly come full circle in a quest for healing and hope. 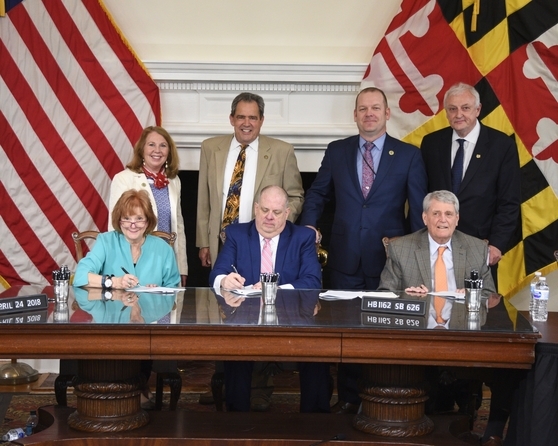 ANNAPOLIS, MD – Governor Larry Hogan was joined by Secretary of Veterans Affairs George Owings III, Administrator Chrissy Nizer of the Maryland Department of Transportation Motor Vehicle Administration (MDOT MVA), and Gold Star families to officially proclaim May "Gold Star Family Recognition Month." Individuals or families that are eligible for the plate may visit the MDOT MVA website at http://www.mva.maryland.gov/vehicles/licenseplates/gold-star.htm for more information.Click to edit this placeholder text.